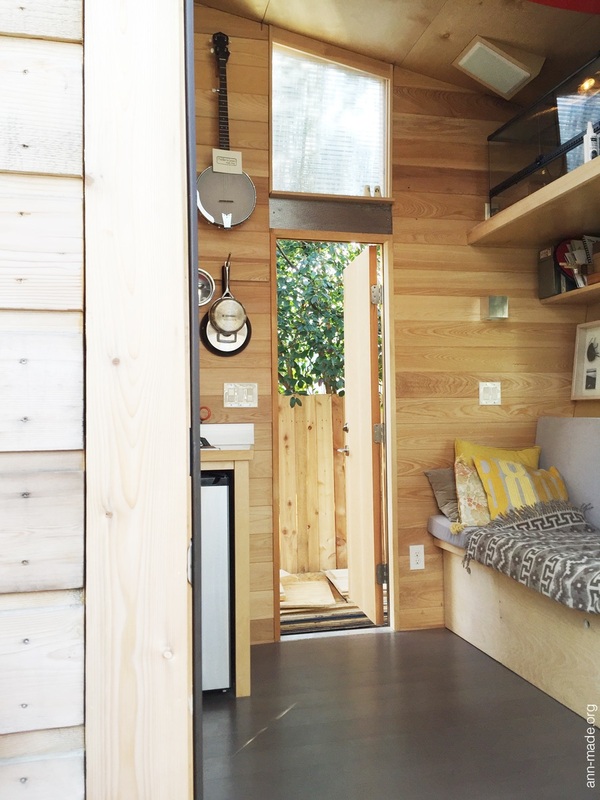 Good design for use of living space. 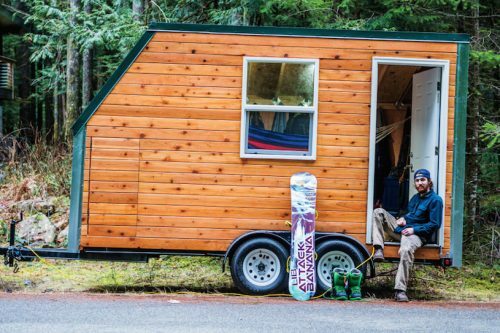 It almost looks towable like an actual RV, instead of a THOW. Good work! Look at the first picture again, you will see the tow tongue on the right. This little rambler can go anywhere. I really like it all. 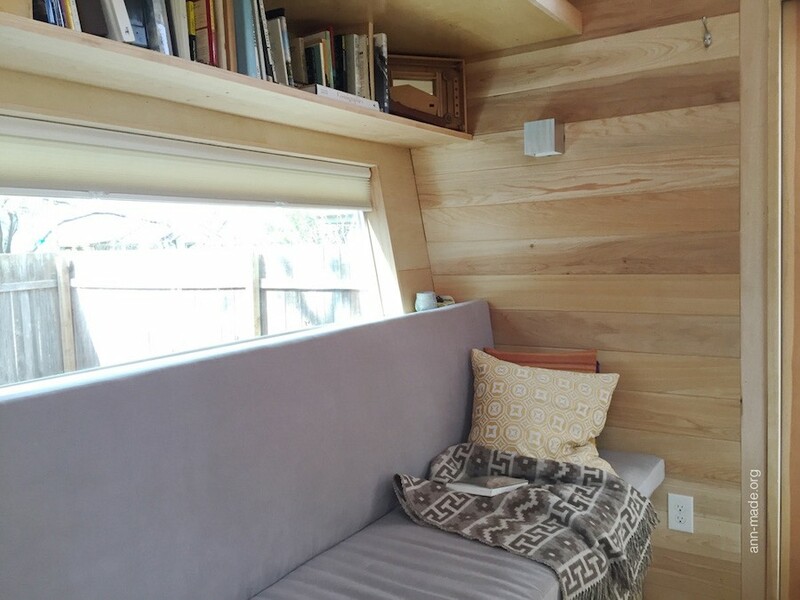 Except those soffits on either side of the bed. Looks like a sleepy person could knock their brains out getting out of bed. UH- …mazing. IN- …credible. 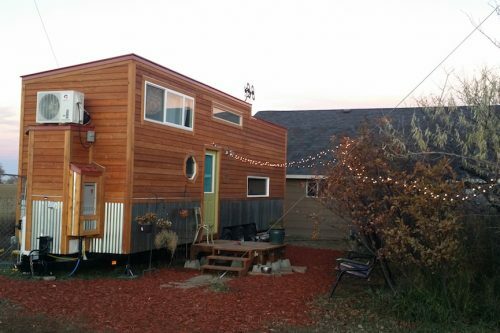 This house is so fantastic it may have ruined tiny house internet-browsing for me forever!! It’s sheer perfection!!! Aggghhh!!! 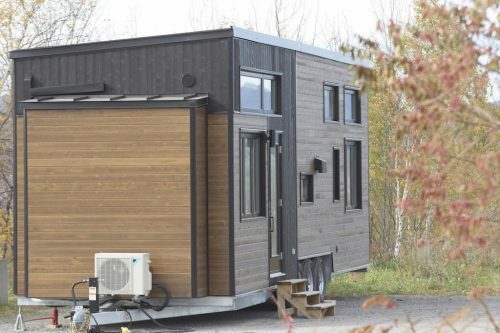 As a soon to be, geographical bachelor, due to being transferred, I would definitely rather live in something like this instead of a travel trailer, sub-let apartment, or some temp roommate agreement. 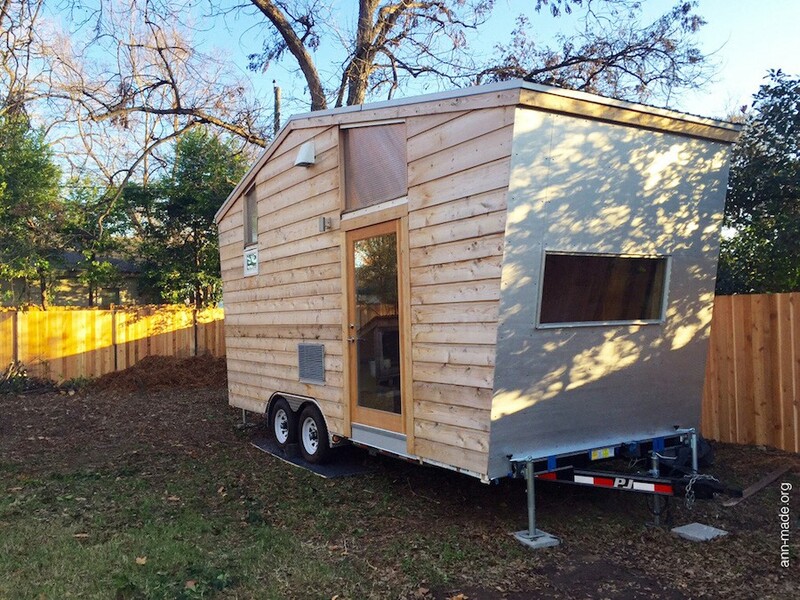 Great design, perfect use of space, and just the right amount of amenities!!! Anyone know what the dimensions are? I am interested in a 16″ and this looks like it might be, good use of space. I tried the links but couldn’t find the info. It is 20′ long x 8’6 wide. 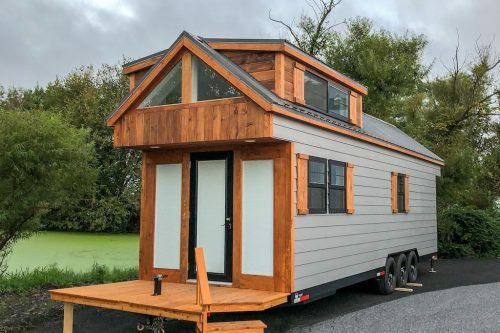 Do you have the plans for this for sale? I would be curious about what it would cost to build? Thanks. Beautiful design. Also what do you use to tow this? I love the color pallette! An inspiration. Please tell me MORE! I LOVE this–am looking to do this, too! I like this design. Very spacious and well laid out. I’m not seeing the toilet. I know it’s there someplace. I really love this design. The loft with the windows, the spacious built in banquette, the staircase, the overhang to keep the rain away from the back door; excellent. I would also like to see this beauty fitted up with solar panels as well as standard hook-up features. My only concern is when it is being towed, the flat side over the tongue will offer a lot of wind resistance/drag and that translates into gas money. I think I might put a “V” shaped utilities garage over the tongue (plus stabilizers) that would cut the air, and sacrifice that picture window by putting in a set of eyebrows possibly, or no window at all and put a bookcase or storage unit in over the banquette and a skylight to compensate for the loss of light. 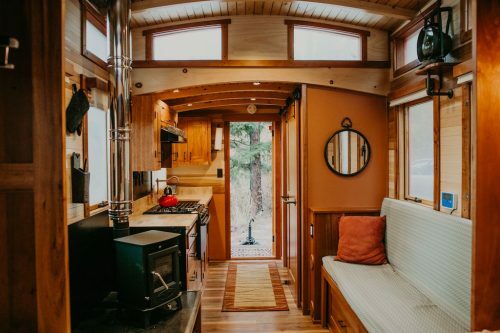 If one isn’t traveling, then this is perfect just the way it is, but if someone wants to ramble, a “V” utilities garage over the tongue might help with the gas. Just love this; very fresh and modern. I usually don’t go for modern, but this is an exception that makes the rule! Great job!!! PS: I’d like to see lots more pictures of this to include the toilet, and what is that dark space at the end of and underneath the counter? What is that box beneath the stairs and the air conditioner? What does the inside of that closet look like? Where is the inverter, panel, etc, stored? Is this a hot water on demand? How is it heated in winter? What is the rating on the insulation? I love having two doors. I wonder about the windows in the loft. Egress is vitally important from that area. 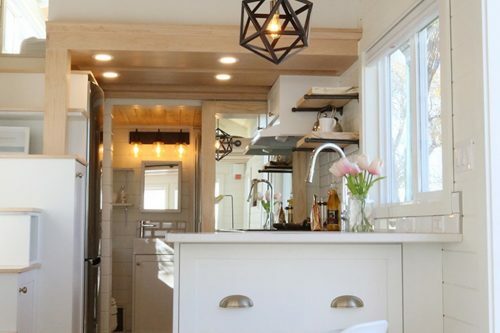 Lisa E, I see an open counter space at the left of the sink, with what looks like a a black wooden stool underneath it. A little nook to sit? 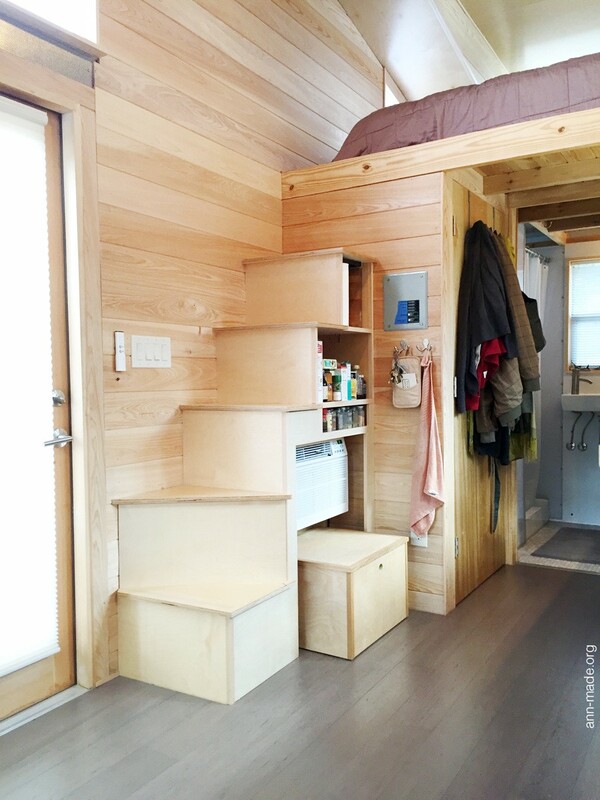 I like the higher area above the bed in the loft! That’s a great idea, giving a person more head room…and more light! Love it! Beautiful design and great job!! You have lots of creative energy! 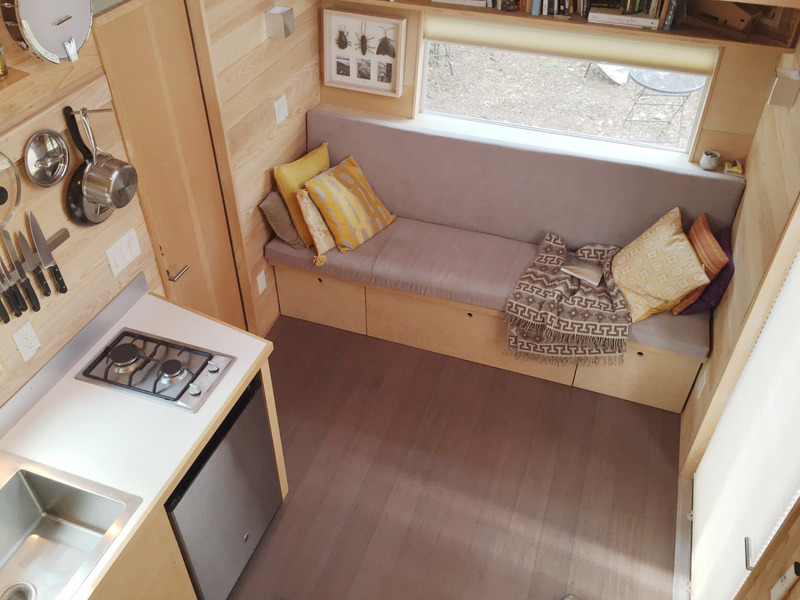 Perfect size with a great use of space. 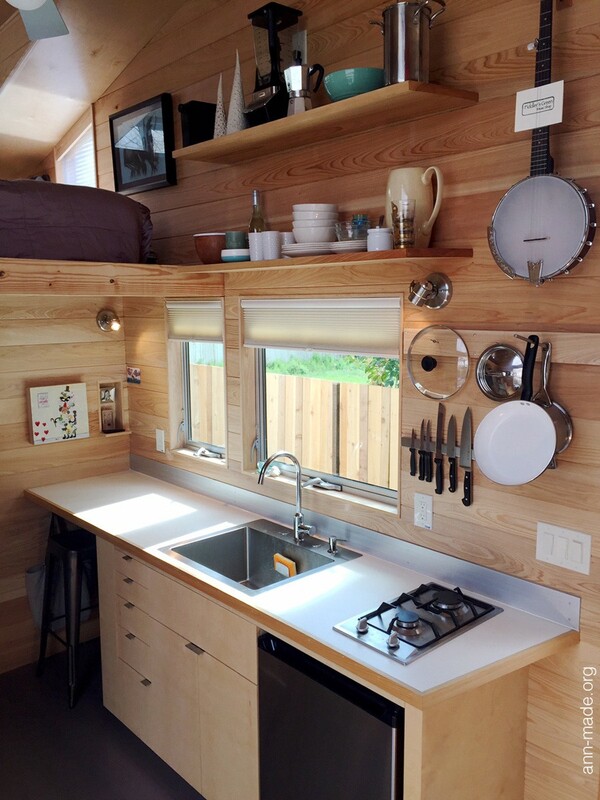 I like the clean lines and the light wood on the interior. Much prefer stairs to a ladder. I like the kitchen set up. Anyone know the tow weight?